The Bulgarian A Football Group or as is it commonly known just as an A Group is the top division of the Bulgarian football league system. It was founded in 1924 as a Bulgarian State Football Championship and it lasted until 1948 when the present league format was created. All through the history, the Bulgarian top division changed the format several times. The first football championship of Bulgaria, for example, started with a knockout format (1924-1937), but from 1937, the football championship changed to league system. Bulgarian football league also changed its name several times. In the past, it was known as Bulgarian State Football Championship, A Republican Football Group, Premier Professional Football League, and last Bulgarian A Professional Football Group. As of season 2013/14, the number of teams competing in A Group was reduced from sixteen to fourteen and the championship was divided into two stages – regular season and playoffs. In the regular season, each team played two times against the other thirteen teams (on a home-away basis). Before the playoffs, the top seven teams and the bottom seven teams were divided into two subgroups. 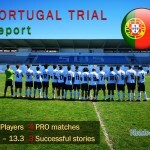 In playoff and playout league each team again played two times against the other six teams for a subtotal of 12 games. The top seven teams determined the champion of Bulgaria while the bottom seven teams determined the four teams that were relegated to B Group. As of season 2014/15, the number of teams was reduced to just twelve so only two teams were promoted from B Group. And as of this season, the number of teams in Bulgarian A Football Group was reduced to just ten and the format of competition also changed. The championship is not divided into two stages anymore. There is just one stage, regular season in which all ten teams will play in a quadruple round-robin format, with each team playing every other team four times over 36 rounds. 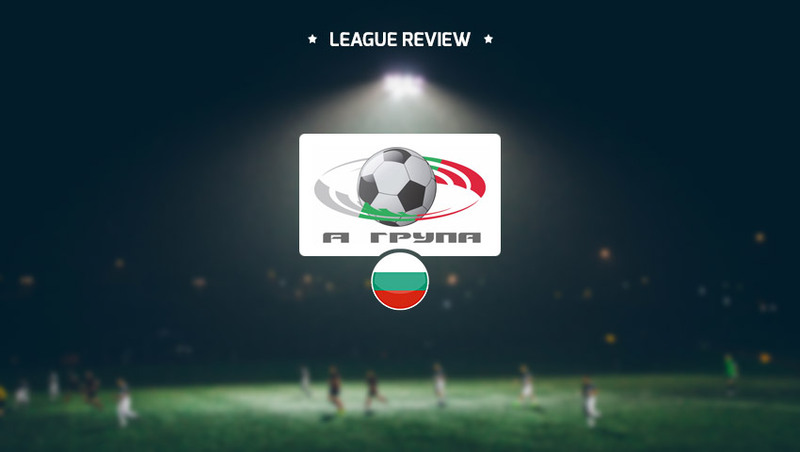 The season of the Bulgarian A Football Group starts in the third week of July and ends in May. The Bulgarian champion qualifies for UEFA Champions League Second Qualifying Round while the teams placed second and third qualifies for UEFA Europa League First Qualifying Round. The bottom team is relegated to B Group while the 9th team plays a playoff game against the second best team in B Group. This season the A Group is very controversial because of several things. First of all, reducing the number of teams from 12 to 10 was not planned. It should be 12 teams starting this season in Bulgarian A Football Group but on 22 June 2015, the BFU announced the final list of participants for the season 2015/16. On that list, there has not been room for two of the biggest Bulgarian clubs of all time. CSKA Sofia is the most successful Bulgarian football club. It has won amazing 31 Bulgarian titles, 19 national cups and 4 national supercups. And internationally CSKA has reached two European Champion Club’s Cup semi-finals, four European Champion Club’s Cup quarter-finals and one UEFA Cup Winners Cup semi-final. Lokomotiv Sofia is a five-time Bulgarian champion and 4 times national cup winner. But both clubs from Sofia were denied a professional license for the following season due to outstanding debts. But this was just a start of problems for A Group this season. At the mid of December another big Bulgarian club was expelled from A Group. Litex Lovech a club who won four Bulgarian titles and four national cups. Litex has been expelled from the Bulgarian league after their players walked off the pitch in protest over the referee’s decisions in match against Levski Sofia. Litex led 1:0 against Levski but their players (ordered by sporting manager Stoycho Stoilov) left the field after a second red card and a penalty against them. “It was the only possible decision,” said Bulgarian Football Union disciplinary chairman Yuri Kuchev. After the controversial game current Bulgarian champions Ludogorets have said that they could quit the league after claiming that referees are favoring tittle rivals Levski. After Litex left the league, the A Group stayed with nine clubs competing and the Litex results were suspended and deleted. So the remaining nine clubs are competing in a Bulgarian championship and after 22 rounds it seems that Ludogorets will win for the fifth consecutive time. At this time Ludogorets is by far the best Bulgarian club and probably the only without financial difficulties. In September 2010 the club was purchased by the businessman Kiril Domuschiev with the clear intention of bringing Ludogorets to A Group. The takeover was followed by a flurry of bids for high-profile players. In May 2011, the club completed its first feat in Domuschiev’s first season by winning promotion to A Group for the first time in the club’s history. After that Ludogorets become the best Bulgarian club winning four tittles in a row and are now as said on the verge of fifth consecutive win. Ludogorets has by far the best players in the league. Their best man is great Romanian striker Claudiu Keserü who is worth 4 million euros (Transfermarkt) and they have a lot of great foreigners such as Vura, Cicinho, Marcelinho, Jonathan Cafu and Natanael. They also have great Bulgarian players like Vladislav Stoyanov, Svetoslav Dyakov and Georgi Terziev, and the value of Ludogorets squad is more than 40 million euros. The second Litex and the third Levski have the value of their squads around 10 million euros. After hearing this facts there is no surprise that Ludogorets is superior club in Bulgarian football. After all they also had very successful European campaign in the last couple of years but what should worry Bulgarian Football Association is the fall of once best Bulgarian clubs who are drowning in debts. 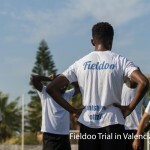 Fieldoo is the biggest soccer network connecting players with agents and clubs. Join now and get an agent or a new club!